His al-Wefaq movement has accused the Sunni-led government of aggravating the country’s crisis with his sentencing. The Gulf state has grappled with sporadic unrest since putting down mass Shia-led protests in 2011. Sheikh Salman’s arrest in December triggered protests across the country. 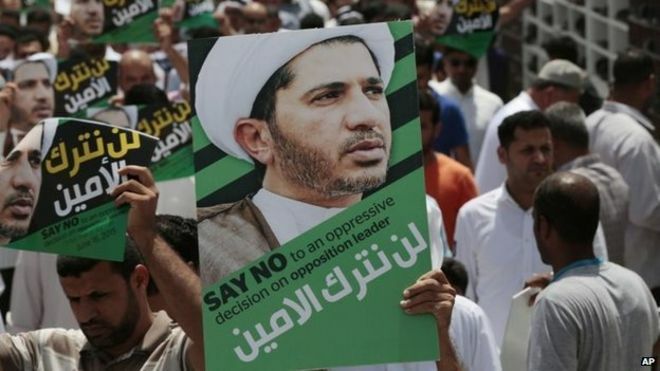 “The regime is pushing toward aggravation and issued a sentence of four years for the Bahraini opposition leader Sheikh Ali Salman,” al-Wefaq tweeted. Bahrain’s state news agency BNA said Sheikh Salman had been found guilty of charges “relating to publicly inciting hatred, an act which disturbed public peace, inciting non-compliance with the law and insulting public institutions”.